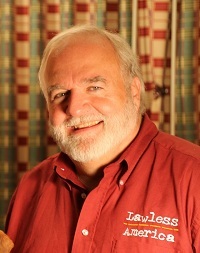 Anyone with actual EVIDENCE that someone has lied during the Lawless America filming is asked to submit that evidence at once to Bill Windsor. No proven liar will be in the film. So put up or shut up if you are accusing others. We have a special interest in those who belong to hate groups, particularly those who can be proven to have lied about a spouse in a custody matter or abuse matter. Anyone that I believe to be lying after evaluating the evidence will become part of our newest film project. I'm considering names for the new film about dishonest people interfering with our attempts to save America, so if you have an idea, please let me know. PLEASE login to Facebook, and then click on the "Share" button in the right column. This will send this story all over the Internet.